As the annual racing circuits begins, it is with tradition that Johnnie Walker starts up it's Black Circuit Lounge pimped with the exclusive and sophisticated flavours of Circuit Lounge are brought to life in original JOHNNIE WALKER® cocktails. I was fortunate enough to get a sneak preview of the sophisticated and bold JOHNNIE WALKER® cocktails, one of the highlights of this highly anticipated event, took place through a whisky mentoring and cocktail-making demonstration :). It was a great pleasure to have JOHNNIE WALKER® Global Brand Ambassador, Tom Jones to have made a rare appearance in Kuala Lumpur to take guests through a flavour journey of the JOHNNIE WALKER® Deluxe whisky range, including BLACK LABEL®, DOUBLE BLACK™ and GOLD LABEL RESERVE™ as a precursor to the cocktail making. 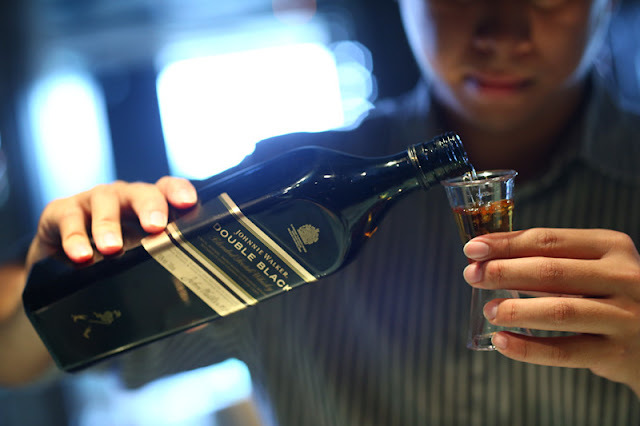 JOHNNIE WALKER® BLACK LABEL™- the iconic bottle, one of the most loved in Malaysia. 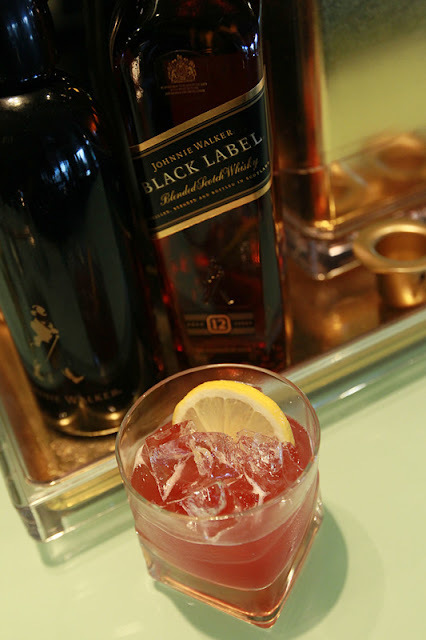 JOHNNIE WALKER® DOUBLE BLACK™- the full bodied, smoky intensity of the worldwide hit. JOHNNIE WALKER® GOLD LABEL RESERVE™.- the luxuriously smooth, honeyed and creamy notes of the celebration blend. For those who are not familiar with the JOHNNIE WALKER® Black Circuit Lounge Party, CIRCUIT LOUNGE offers a holistic luxury race party experience where even our drinks are given meticulous attention to detail, with an international team of mixologists coming together to produce the new creations on offer during CIRCUIT LOUNGE for the delight of our guests. 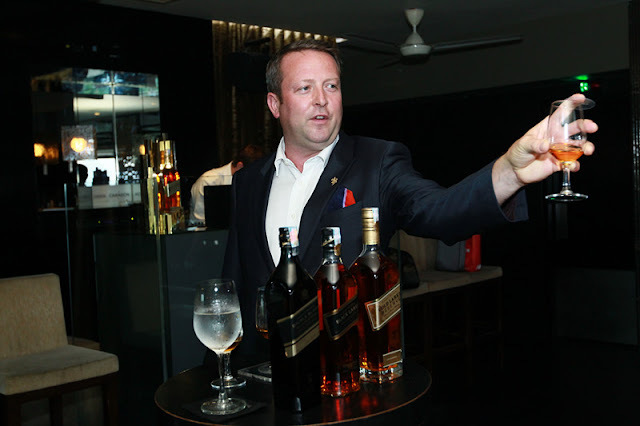 Malaysia is not unfamiliar to JOHNNIE WALKER®, but through new and provocative cocktails serves our local consumers can experience their favourite whisky flavours like they never have before as shared by Charles James Wright, Senior Brand Manager of JOHNNIE WALKER®. 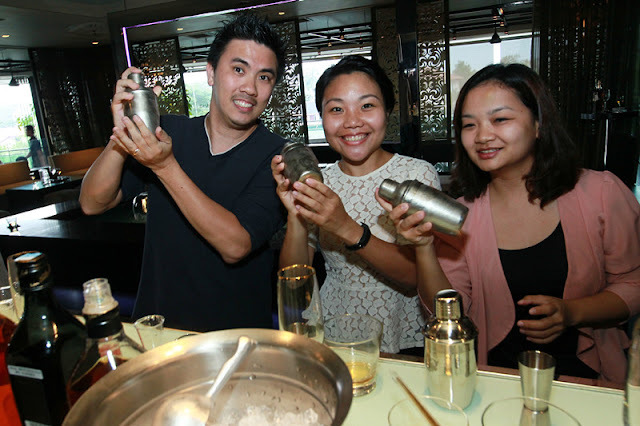 I had the opportunity to personally try out the recipe as well as enjoy the drinks myself. We tried our all three of the recipe and each of them made a pretty strong impression on me. 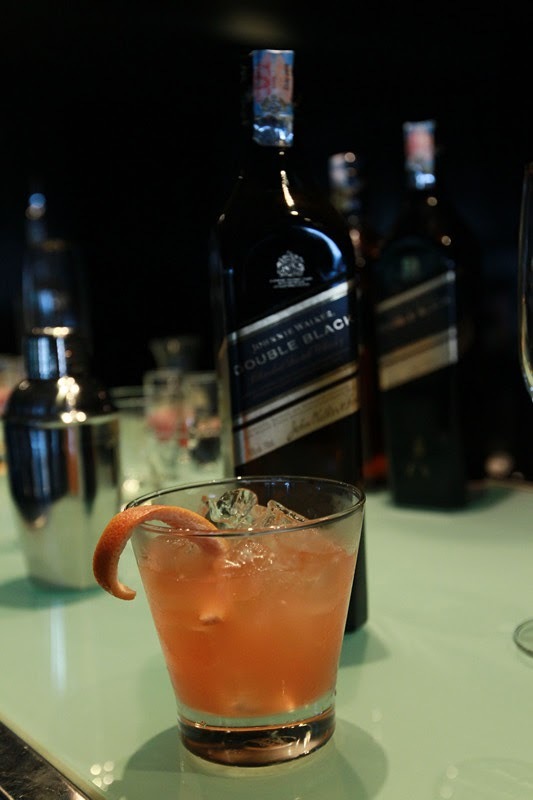 JOHNNIE WALKER® BLACK LABEL™ cocktail, aptly named ‘Circuit Lounge’, will be taking centre-stage. A sweet based mix that gives out a good scent of honey, it is gentle and a delight for those who enjoy the occasionally stuffing of yummy desserts. Peat Perfect would have to be my personal favorite amongst the three, the new Double Black cocktail that contrasts the intense smoky flavours of this bold blend with the bitter-sweetness of grapefruit accompanied but a faint citrus taste. 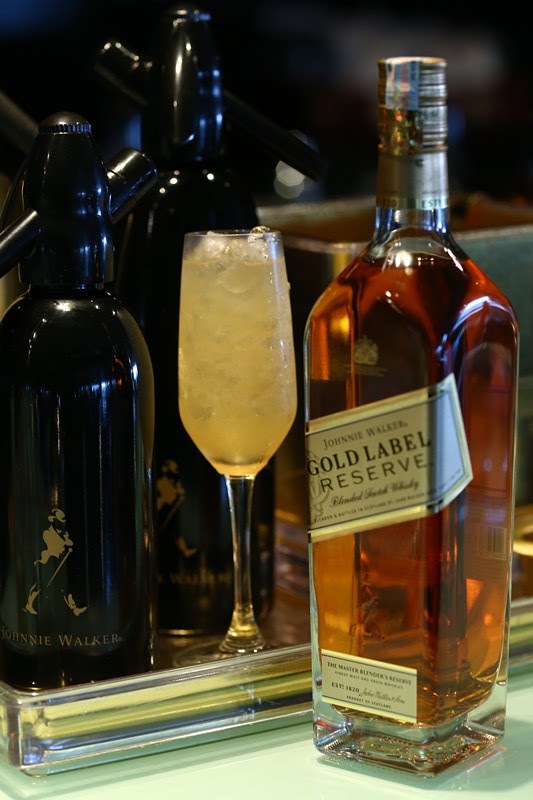 The smooth JOHNNIE WALKER® GOLD LABEL RESERVE™ signature cocktail, Fresh Gold, served in a celebratory champagne flute, as the perfect end to the evening. It's sourish nature gives a perfect jolt to get ready for an evening to good times :). It was indeed a great experience being mentored to enjoy the taste of such good blends of whisky and the chance to make my own cocktail was gold. 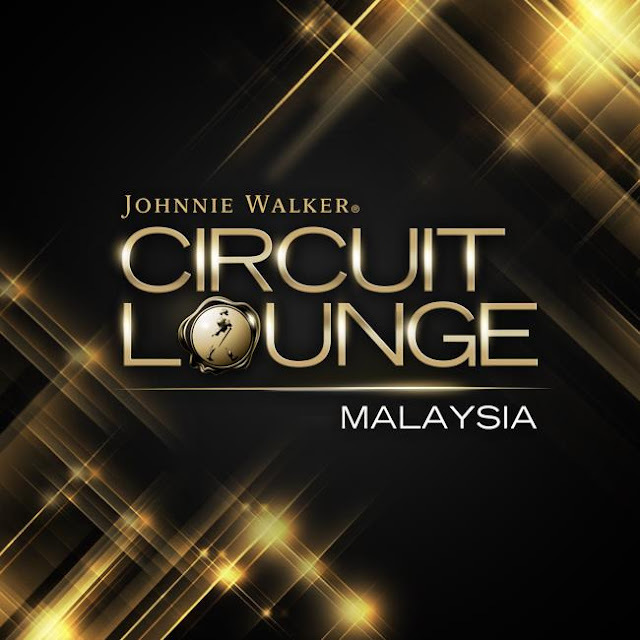 The JOHNNIE WALKER® CIRCUIT LOUNGE, Malaysia’s signature race week party, will take place on 23rd March, 2013. 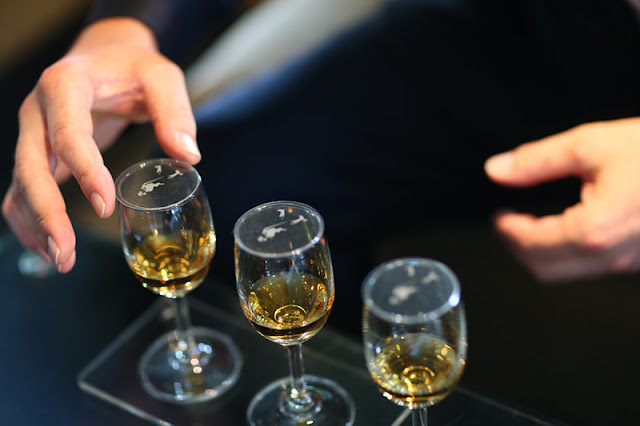 For details, please visit the JOHNNIE WALKER® Malaysia Facebook page at http://www.facebook.com/JohnnieWalkerMalaysia. 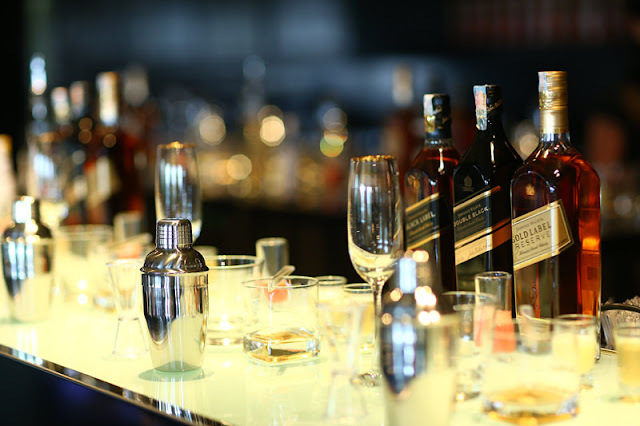 The exclusive JOHNNIE WALKER® cocktails will be available at JOHNNIE WALKER CIRCUIT LOUNGE and JOHNNIE WALKER® CIRCUIT NIGHTS throughout the year.